← Microplastics are not fish food. Plastic is a material that Earth cannot digest. Every bit of plastic ever produced still exists and will be here with us for hundreds of years. 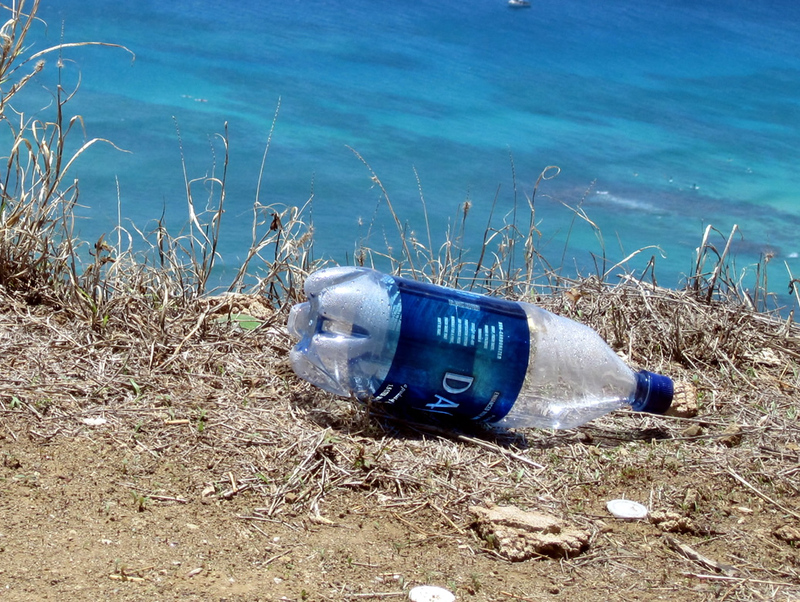 Once in the environment, plastic breaks down into smaller and smaller particles that attract toxic chemicals, are ingested by wildlife on land and in the ocean, and contaminate our food chain. Our oceans and waterways are full of these small particles, which currents accumulate in convergence zones called gyres, located in the center of the word’s oceans. The most notable of these is called “the Great Pacific Garbage Patch,” but while the idea of a giant patch of garbage in the ocean is unsettling, the reality is more so: a planetary soup of small bits of plastic that circulate throughout the water column and which we have no hope of cleaning up. However, plastics are not destroying our environment and compromising our health by themselves. It is our use of them that has catastrophic consequences. A material that lasts hundreds of years in the environment should never be used for applications that last seconds, minutes, hours, or even days. In addition, a material that has complex, non-transparent formulations involving toxic additives should not be in contact with our food and drink. 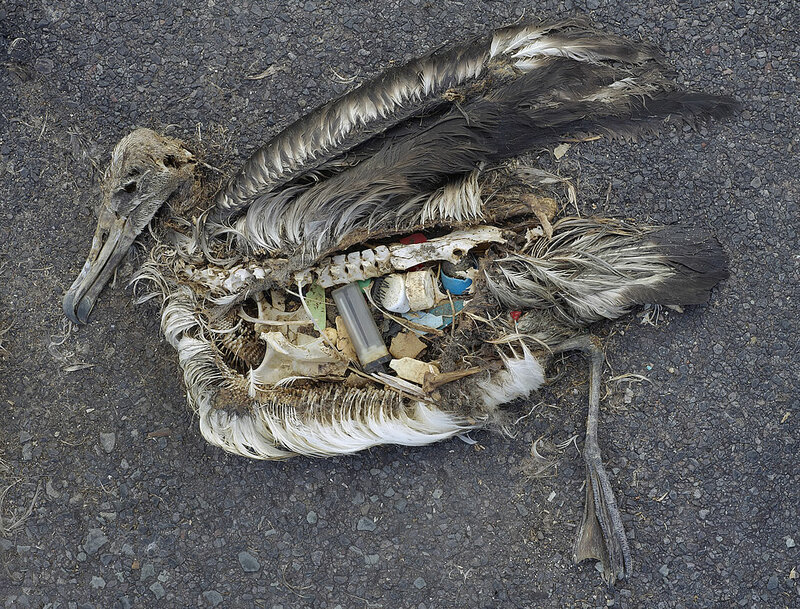 Sea birds and fish have a hard time distinguishing plastic from food. When they eat the stuff, they cannot digest it, and eventually die with bellies so full of plastic that no food or water can pass through them. 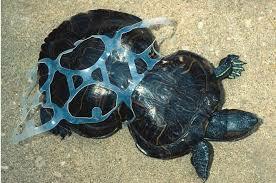 Plastic pollution is not a problem created by improper disposal. It is a problem created by irresponsible design, paired with unsustainable throwaway habits. Add in the lack of producer responsibility, and the omission of the precautionary principle when it comes to product toxicity, and you have a perfect environmental and human health storm. As the magnitude and the human health implications of our plastic pollution problem are better understood, there is more and more buzz about plastics that are bio-based, biodegradable, or compostable. Many eco-minded people see in them an easy solution to our plastic pollution problems. The reality, however, is not that simple. With new types of plastics should also come a concern over how we use plastics, bio-based or otherwise. Biodegradable plastics may or may not be the next best step, depending on the properties of these new materials – but also depending on the particular object or application we are seeking to replace. Terminology-wise, we need to be extremely careful with the word “bioplastic.” It’s a neurolinguistic booby trap. Bioplastics, just like regular plastics, are synthetic polymers; it’s just that plants are being used instead of oil to obtain the carbon and hydrogen needed for polymerization. Bioplastic may or may not be biodegradable, may or may not be toxic, just like any other plastic. A plastic such as high-density polyethylene HDPE can be 100 percent bio-based (for instance 100 percent organic hemp), and yet still be non-biodegradable. The public, however, is led to think that any bio-based plastic is biodegradable, which is not at all the case. Dasani and Coke’s “Plant Bottle” is a notorious example of this type of greenwashing. Some bioplastics, however, are indeed biodegradable and compostable. The problem is that there is no agreement on what this really means, and under what circumstances. One has to read the fine print for each manufacturer and for each type of product, and often rely on the industry’s self-awarded certifications. Biodegradability usually requires industrial composting facilities, which are few and far between – and make us wonder who is actually responsible for taking these plastics to those facilities after disposal. Also, composting is a much longer cycle than recycling, and the vast majority of bioplastics are not cradle-to-cradle recyclable. Some, in fact, contaminate the downcycling of conventional plastics. There’s also the question of ecological footprint. In order to make bioplastics we need land, water, energy, and often pesticides and genetically modified crops. Given the enormity of our plastic consumption, one wonders what impacts we would see on food prices and resources if we transitioned to bio-based packaging. In comparison, using paper, glass, or metal is simple: We know the ingredients, we know that these materials truly are recyclable, and we have the infrastructure and resources to produce and recycle them today. Reusable items, meanwhile, are simply better for the environment. Nobody wants to demonize biodegradable plastics. However, we should ask tough questions before accepting anything new with a green label on it. Otherwise our eagerness to solve a problem might make us easy victims of greenwashing or lead us in a direction that could trigger or aggravate other environmental and health problems. Even worse, we might be hampering or delaying the adoption of effective, sustainable solutions, namely changes of habits, and deep changes in the ways products are designed, manufactured, packaged and discarded. At Plastic Pollution Coalition we are junking our disposable habits and composting the throwaway society that has destroyed our planet and compromised our health. Our organization calls for the elimination of useless, senseless single-use and throwaway plastic junk, starting with bags, bottles, plastic cutlery, straws, excessive packaging, and a great deal of other things we can give up or replace with alternatives now. 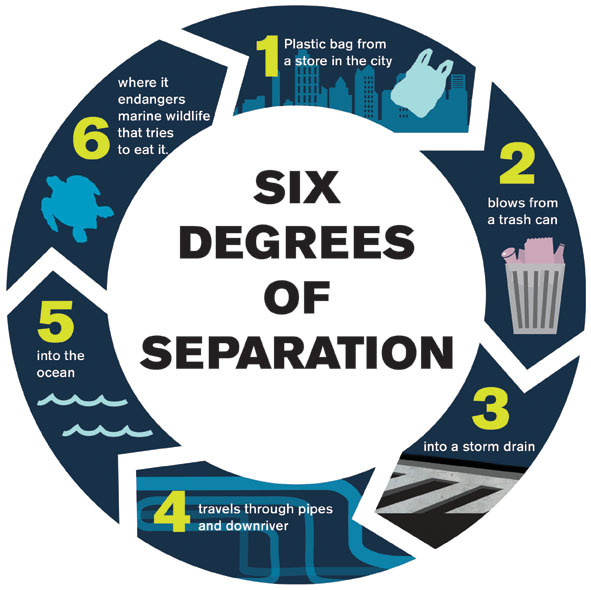 See Plastic Pollution Collition for more information. California’s AB 1998 would ban plastic bags and encourage reusable bag use at grocery stores, pharmacies, and convenience stores. Plastic bags are a primary component of urban litter. And urban litter is the primary component of marine pollution. You may not know it, but you’re probably already paying for that because plastic pollution costs California families hundreds of dollars annually in hidden cleanup costs. 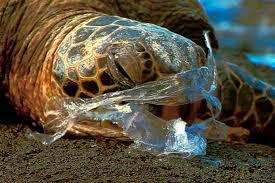 Retailers distribute approximately 19 billion plastic carryout bags annually. Imagine the real damage that much plastic can do to the environment. For more information and to support the bag ban, visit http://www.cawrecycles.org. This entry was posted in Health and well being, Mother Earth and tagged death, ethics, mother earth, plastic, pollution, responsibility. Bookmark the permalink. It’s a terrible reality! One that I’m trying to change. Thanks for posting. Thank YOU for all that you daily do. May others be inspired by watching you. We have to care. We just have to.